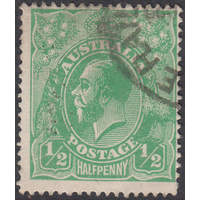 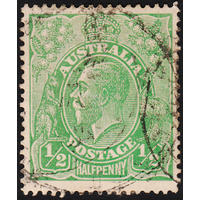 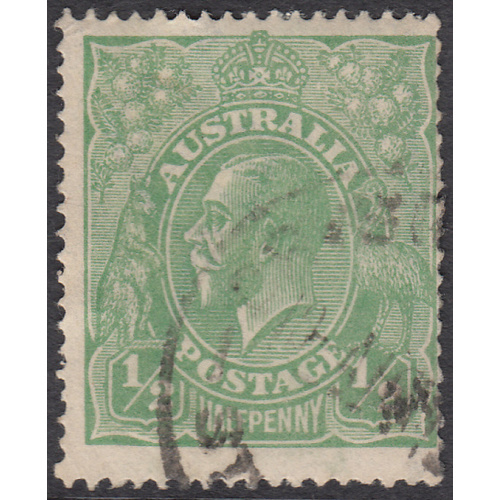 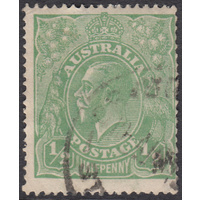 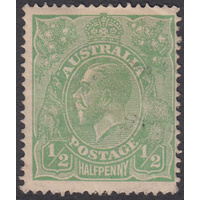 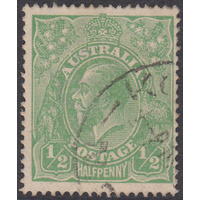 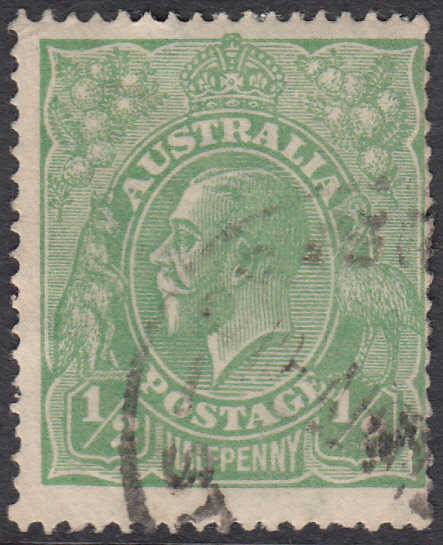 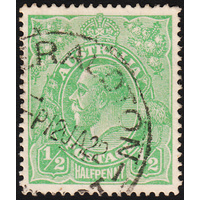 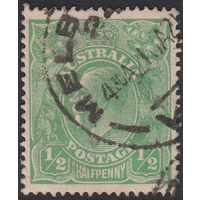 Australia KGV 1920, 1/2d Green, Single Watermark, variety 7R54 (three shading lines at left of crown shortened at their right ends where they should join the crown, shade break in 14th shading line at right of crown) in Fine Used condition with no faults. 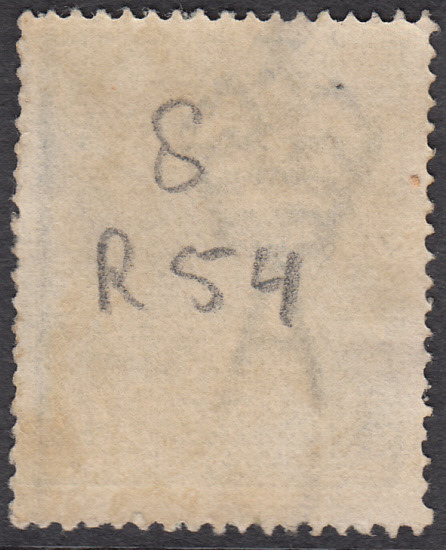 Thre is a dealer's pencil annotation on the back of the stamp. 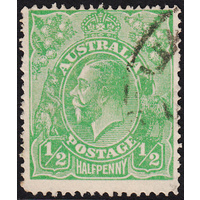 Off-centre to the right with a circular datestamp cancellation well clear of the variety and second indicator. 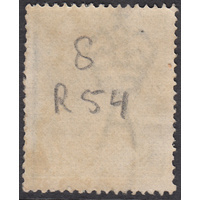 Nice clear example!